My team and I decided to have our team building in Guimaras. We chose Raymen Beach Resort since its the resort with complete amen ities that will make our stay really comfortable. After our shift, we then pac ked off and proceed to Libertad Terminal, took a Pulupandan bound jeepney that will be our jump off point to Guimaras. 45-60 minutes boat ride depending on the sea condition. There are several jump off to Guimaras: Iloilo, Pulupandan and Valladolid. The latter were both in Negros Occidental. We are all very excited for this trip. Some of the members of the team said that its their first time to go to Guimaras some said they missed Guimaras and its been a while since they stepped into the place. Off we go cruising from Pulupandan to Guimaras, the sea is a bit rough so we didn't really enjoyed the ride. But thank God we arrived safely. We settled our stuff and prepare ourselves to have lunch, some preferred to rest to recharge the energies. Its almost sunset when we decided to take a big splash, yeah, the beach is really relaxing, even the image from afar will make you smile. After that afternoon dip we started prepping for our dinner and the most awaited activity of all the time: Bonding- Drinking-Chismisan Session. I have spared myself, after dinner, we had small talks and then i dozed off. 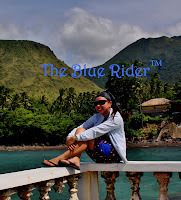 I need to prepare for my most awaited part of the trip – the Island Hopping/Snorkeling/Swimming in the open sea :). Call time 7 in the morning as we need to start this activity by 9 so we can fix our stuff and go home after lunch to catch the boatrip back to Bacolod. Yeah, Guimaras never failed to amuse me with its wonderful scenery underwater. I will never get tired swimming here because I can see only beautiful creatures. A thing I promised myself is to get an underwater Camera so that i will not miss capturing the beauty under the sea. Before I even forget, this is Markie’s second life because he almost drowned himself when he jump off the boat in an open water. This place is jam-packed with everything you need to unleash the stress and be relaxed even for just a day. There are pristine beaches (white sand) of course, they can also offer mountain resorts and a great site for diving and snorkeling. Some activities that we did during this visit: Island Hopping, Snorkeling, Swimming and Beer Drinking (LOL). We had a great overnight stay in Guimaras that made us bonded as a team. If you are looking for a great vacation without ruining your budget, Guimaras is the place to be.